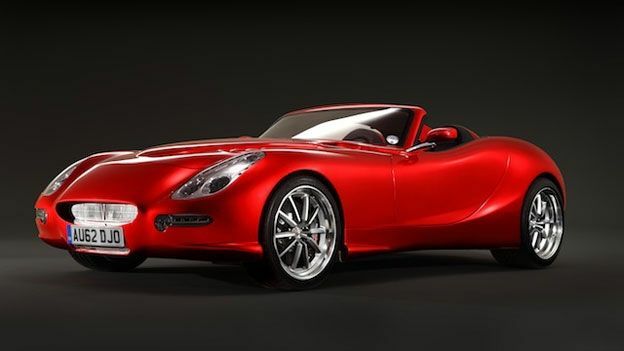 British sports car company Trident has unveiled what it claims is the world's fastest and most efficient diesel sports car. How efficient is it? It runs on cooking oil, that's how efficient. The Trident Iceni won't conk out and need refuelling after a few miles, either. It can run 2,000 miles – that's from here to Cyprus, as the crow flies – on a single tank of mineral or bio-diesel, aka "UCO". That's used cooking oil to me and you. Don't worry if you haven't got any to hand. The Iceni also runs on other oils, including virgin rapeseed, linseed, palm, soya bean, kerosene and paraffin. Trident claims the Iceni is 20% more fuel efficient than comparable cars in its class. It achieves its high fuel efficiency thanks to what Trident calls "unique torque multiplication technology". And it's no slouch when it comes to performance. Its top speed is a face melting "over 190mph" (Trident won't give an exact figure), and it'll go from 0-60 in 3.7 seconds. Under the bonnet is a 6.6-litre V8 turbodiesel engine. Inside is a touchscreen with a satnav and DAB radio built in. As you might expect, the Iceni doesn't come cheap. You'll have to shell out £96,000 for the cheapest option. That might sound a lot, but if petrol prices keep rising the way they are, it could soon pay for itself.